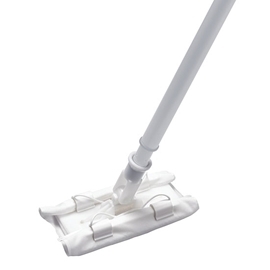 Texwipe mops, covers, head refills, buckets, carts and liners are designed specifically for cleanrooms and offer premium contamination control. We offer a variety of mop types and covers to suit virtually any need - large areas, isolators, and even those companies wanting to use standard wipes as covers, we have the mop for you. We also offer a complete line of cleanroom buckets, featuring an exclusive seamless stainless steel bucket construction, and carts to build a perfect mopping system. For your convenience, select your cleanroom mop from below.